Teddy bear clothes fit build a bear, teddy bears clothing. Build your bears a new wardrobe of teddies clothes. Build your Bears Wardrobe™ teddy bear clothes Witch Pink Buckle Dress Outfit is a compatible fit for 14-16" build a bear. 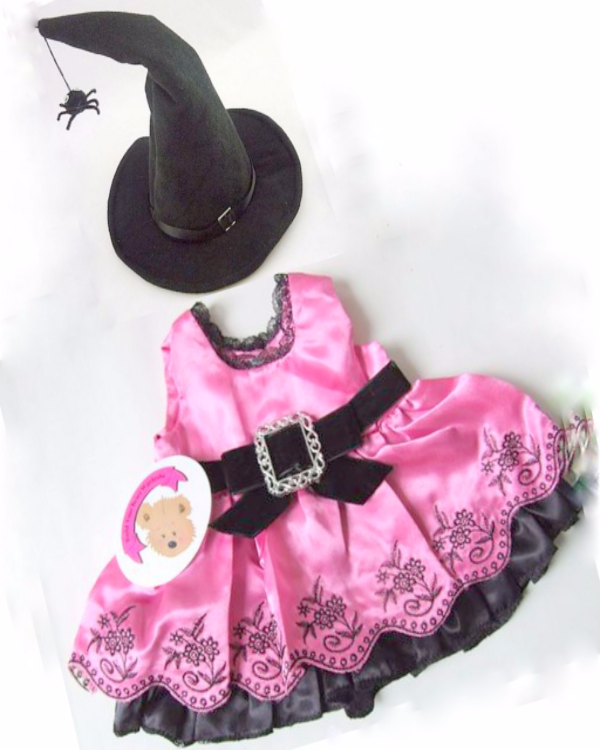 Pink Buckle Dress with Hat and hanging Spider! Fitting teddy bears and animals of approx. 14-16". Probley the best selection of teddy bear clothes you have seen!